A selection of the music we have to offer is below. 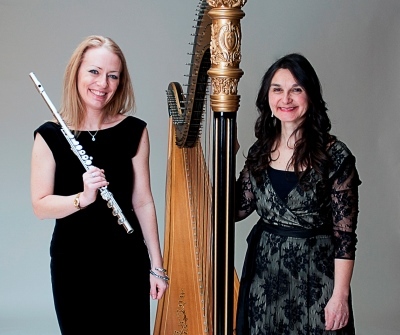 Primarily, we perform as a flute and harp duo but if your venue has a piano, flute and piano is also an option. We have a large range of music in our repertoire which covers well known classical music, film music, chart hits, jazz standards and hymns. This allows us to perform for a wide variety of events including religious and civil wedding ceremonies, and drinks receptions. Please let us know if you have any special requests as we are always happy to learn new music, if possible. Please note that some of the clips are samples, so are only 30 seconds long. You can find more of our music repertoire on our YouTube channel SueEvansMusic.